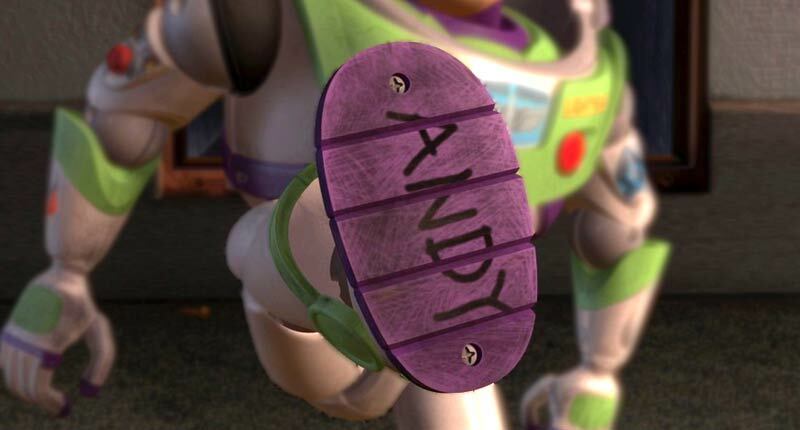 In Disney’s Toy Story trilogy, the toys who are the main characters belong to a boy named Andy. And like most young boys, Andy loves his toys, so much in fact, that he writes his name on the foot of each one. To be one of Andy’s toys, to have his name written upon their foot, means they are loved, they are treated more like family than toys; and above all, they are Andy’s own prized possession, they belong to Andy and no one else. So, what does Toy Story have to do with Trinity Sunday and Confirmation day? Well, it’s not because of the famous Pixar trio of Buzz Lightyear, Woody, and Jesse. It’s all in the name. No, not Andy’s name. The Name. Father, Son, and Holy Spirit. Today as we celebrate Trinity Sunday and Confirmation day we hear Jesus’ command and promise to his disciples, his church, and to you. Baptize. Teach. This is what Jesus calls his church to do. Nothing else matters: baptize in Jesus’ name and teach Jesus’ Word. Receive Jesus’ baptism washed over you. Hear Jesus’ absolution declared to you. Take, eat and drink, Jesus’ body and blood given and shed for you. Everything else we say or do in this place exists to serve, support, and deliver God’s gifts. That’s why our catechumens and families are here today. That’s why we’re here today. Not to witness a graduation from confirmation. There’s no such thing. Rather, to receive the Lord’s gifts in the Lord’s house on the Lord’s day, and in the Lord’s name: Father, Son, and Holy Spirit. To continue to receive his gifts in water, word, body and blood is how we remain faithful to his command and live in his promise in Matthew 28. Like our catechumens, you are baptized in the Name of the Father and of the Son and of the Holy Spirit. We have a new identity. Beloved. In Holy Baptism, you are loved; you are no longer slaves to sin, but sons of righteousness; God writes his name – not on your foot – but upon your forehead and heart with the blood of his cross to mark you as one redeemed by Christ crucified. You are God’s own chosen people; you belong to him and no one else: not sin, death, or the devil. Today, Jesus gathers us to receive his gifts in the Name of the Father and of the Son and of the Holy Spirit. This Name by which we enter God’s family is the Name by which we enter his house. 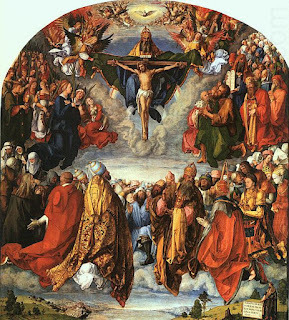 We’re called to read, mark, learn, and inwardly digest the prophetic and apostolic Scriptures as his inspired Word, to confess the doctrine of the Scriptures summarized in the Small Catechism, to receive the Lord’s Supper faithfully, and to suffer all even death rather than fall away from Christ’s church. To do this faithfully means to confess that we are unfaithful. To believe that I cannot by my own reason or strength believe, but only by the Holy Spirit. I do, by the grace of God! For like our catechumens, we’ve confessed before our brothers and sisters in Christ that we intend to live according to the Word of God in faith, word, and deed…and yet we haven’t. That’s why the most important vows and promises made on Confirmation Sunday aren’t the ones spoken by the catechumens, past or present. More important by far is Jesus’ Word, who by his Word keeps his vows to save you in his death and resurrection for you. As good as our confirmation vows are, Jesus’ promise to each of you in Holy Baptism is the greatest promise of all. Like the disciples, the first catechumens, we have doubts, fears and, anxieties. There will be days when we fail to keep our vows and sin against the Lord, just as the disciples did. But there will never be a day when Jesus forsakes you. The love of Jesus crucified is with you always. 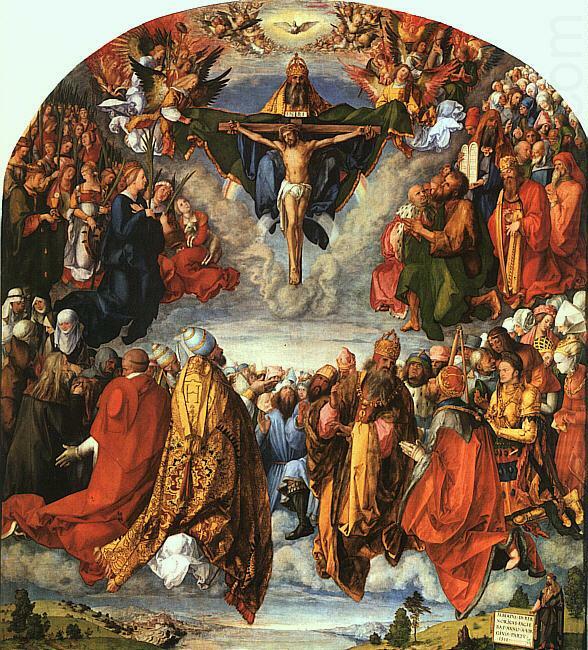 A blessed Trinity and Confirmation Sunday to each of you.